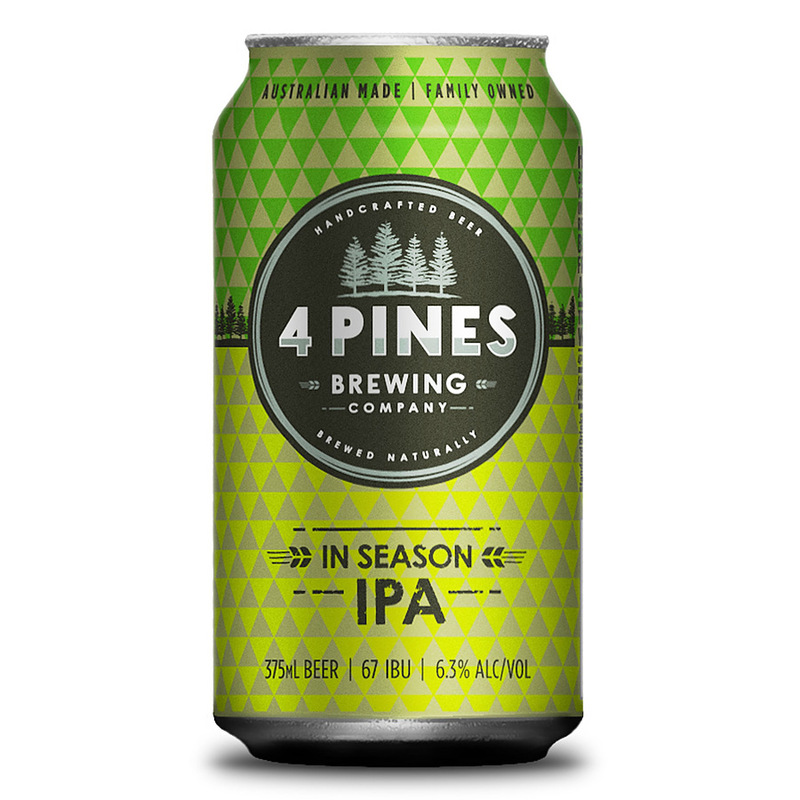 4.5	stars -	"Review for 4 Pines In Season Ipa 6.3% Can" Dale Carter This 4 Pines In Season Ipa 6.3% Can is the best Craft I have tried. In with the old and with the new! A Northern Hemisphere West Coast-style IPA showcasing Cascade, the hop variety that helped launch the craft beer revolution and Idaho #7, a relative new varietal on the scene that is turning heads. Displaying strong notes of pine, citrus and floral with a lingering bitterness.